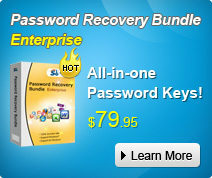 Forgetting Windows 7 password is something that you don’t allow yourself to do. However, things may frequently happen for this or that reason. Good thing is that actually you can change Windows 7 password with certain ways. Therefore, don’t make this kind of annoyance to let you down. Here, check some ways on how to change Windows 7 password, if you lost Windows 7 password. Windows 7 Password Changer is an efficient and safe utility to reset Windows 7 local and administrator passwords without any data loss even though you lost the administrator password. It will be the ultimate solution for Windows users especially those computer novices. 1. Here you need another computer to download & install & run Windows 7 Password Changer, so this computer can access to system as administrator. 2. On the main interface, you need to choose to reset password for local account. 3. Insert CD or USB to your computer, and select the corresponding device. 4. Simply click on “burn” to start burning this password reset disk.